Just released health/service announcement from Public Health of Seattle/King County! I saw this segment on the Today show today – this is very disturbing. We need to speak up to stop this. And also by using your personal cell phone for as long as possible and also making sure when you turn it in for a new one it is going to a proper recycler – that is how we can slow down the need for precious metals from the Earth. 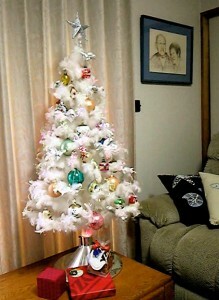 My 1960s EverGleam Christmas Tree in action. This video is of my handbell group that plays at TIbbetts United Methodist Church in West Seattle. We prepared three Christmas pieces this year, and this was our best one, from Sunday, December 19th. Enjoy and merry Christmas to you all! This year I struggled with lack of holiday spirit, space constraints (for the 4th Xmas since we moved here) and the cut vs. artificial tree dilemma. All of the arguments point to a cut tree being the most environmentally friendly choice. The way our rooms are set up, however, make it difficult to place a tree (we had one here in 2007, the year we bought this townhome). Since we are childfree there is no real pressure to go to the trouble to have one. But I like celebrating the holiday with treasures that we only see for a few weeks each year so I wanted to find a way to do it. But I didn’t want to buy a plastic tree. Feather tree in the home of my Aunt Andrea and Uncle Nils Olson, in Munakata City in Japan. They have a small home so they need to also be creative with how they decorate. 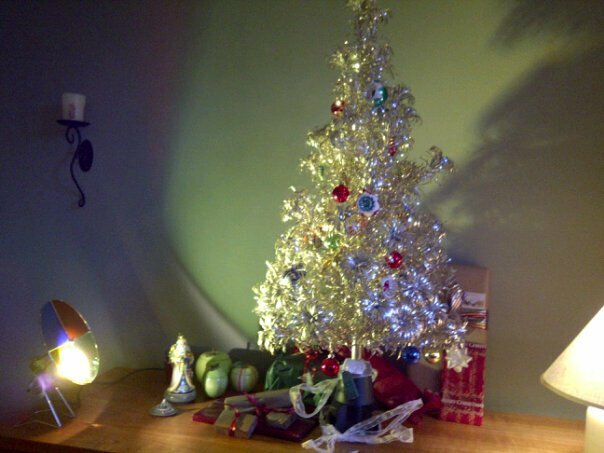 When I searched to find a “PVC Free Artificial Christmas Tree” what came up was Aluminum Christmas Trees.net and the information here and thru my other research pointed to the stainless aluminum tree of the Space Age as the only option. There are also feather trees, which are also quite popular in some countries, but I don’t know if the feathers are plucked from a living bird and I wouldn’t want an animal harmed for decoration. (I try to be both fur and feather free.) The Aluminum Christmas Trees site is the most extensive site I’ve seen and has a lot of history on it. if you are intriguied by the history of American metal manufacturing and/or historical holiday observances, you should check it out. The more I read the more I got excited about taking this decorating route. I started calling antique stores and found a 4 foot Evergleam Aluminum Tree in the original box at a Fremont antique shop called Delixe Junk. I picked it up last Saturday, and they also had a replica “Nostalgic Color Wheel” that was used to color the tree since hanging electric lights on it could have caused electrocution if the wires were frayed – and designers also said it ruined the look. Sure, they are tacky looking at first blush, the the husband of a friend of mine said on Monday night that “It’s so tacky it’s totally cool!” Some more reading led me to believe I needed a rotating tree stand, so I called around and managed to locate one at Display & Costume in Northgate. I picked that up on Tuesday. 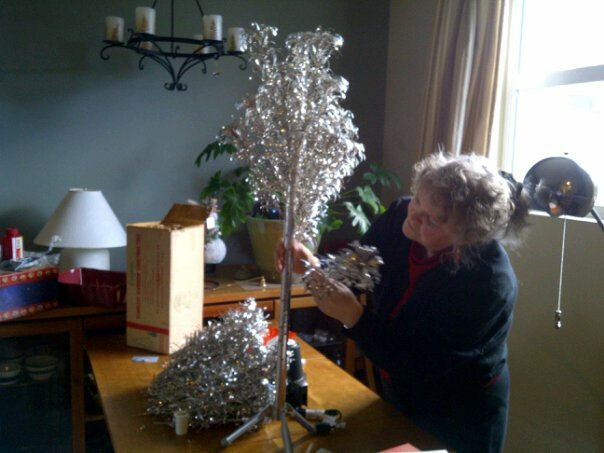 Marci Hughes (Snohomish, WA) helps assemble the tree. 5) Didn’t let off VOC toxic fumes from new plastic if I had bought an artificial tree at Target (even a small one would have smelled nasty – and look fake). 6) Can be used again next year – saving me time and money. And it stores in a very small box. And this is the end result!! I love it!! Close-up of the end result. As the resident green agent in High Point, I wanted to give a quick update – we’re headed into the Winter selling season in West Seattle and there are some very nice single family homes, townhomes, condos, and even a carriage home for sale. When it comes to West Seattle, especially High Point, I am the healthy homes expert. And now we have brand new homes under construction on SW Graham Street by Polygon Homes. 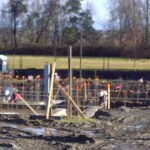 If you would like to follow the progress of these new homes on Facebook, there’s a public photo album on my Profile that I update with my camera phone when out walking the dog. 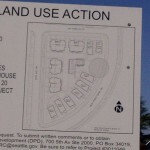 Block plan for the first new construction in High Point in three years. Polygon Homes has returned to build more homes in Phase 2. Click here to see current High Point homes for sale Some homes currently being marketed for sale require lender approval (short sale). Ask for details. It was wonderful to have the opportunity to buy a brand new home in a Built Green Certified Community right in my own neighborhood. I had lived within a mile of this location for ten years, and watched the development of this community over that time with great interest. When I took a property tour in April 2007 I wasn’t looking for a new home and had no intention of moving – but what I found in High Point made me put my house on the market almost immediately, and the sale of our home on 18th Ave SW and the purchase of our townhome on SW Raymond all managed to squeek through right at the beginning of the real estate market fallout. We feel lucky that we managed to get moved and settled without any hassle. Call me. Or email me. Or send me a message on Facebook or Twitter. I know the Westside inside and out and can answer any questions you may have about what it is like living here. Just know you will get biased answers – because it is clear that I love it here! Holiday bell ringing humor worth seeing! This is completely off topic, but as a handbell ringer there is rarely good humor video available for this genre of music. In the last few days two have come to my attention, tho, that are worth sharing. First, the tame one. Then the more edgy one. Why should you become an EcoBroker? EcoBrokers® are equipped with energy and environmental information and tools that help us provide added value to all of our real estate transactions. EcoBroker training helps real estate agents address the newest topics in real estate, such as “green” home certification programs like Built Green, Northwest Energy Star®, and LEED for Homes, energy-efficiency, and environmentally-sensitive design. The EcoBroker designation assists real estate agents in working through issues that may arise in any real estate transaction, such as mold, radon, and poor indoor air quality, providing real solutions. You grow your client base by attracting the green-minded consumer and providing valuable energy and environmental information to all types of clients. With expertise and Affiliate relationships, EcoBrokers are known for providing exceptional value to all of our relationships! As a current EcoBroker I am entitled to extend $50 savings to any of my colleagues, which can be obtained by using my unique membership number in the “code” box on the enrollment page. You can enroll for only $345! I paid well over $400 when I took the class (after adding in all of my extensions). 2. Type my number in the “Code” box when enrolling and creating your account. 3. My membership number will trigger a $50 discount for all of my colleagues. You have up to 6 months to complete the 18 clock hours (accredited in Washington state), all online. If you can’t get it done in 6 months you can extend your access to the program one month at a time for $20 with a simple phone call.